Creighton Construction & Development has completed the construction of a new 7-Eleven convenience store with gas station in Fort Worth, Texas. 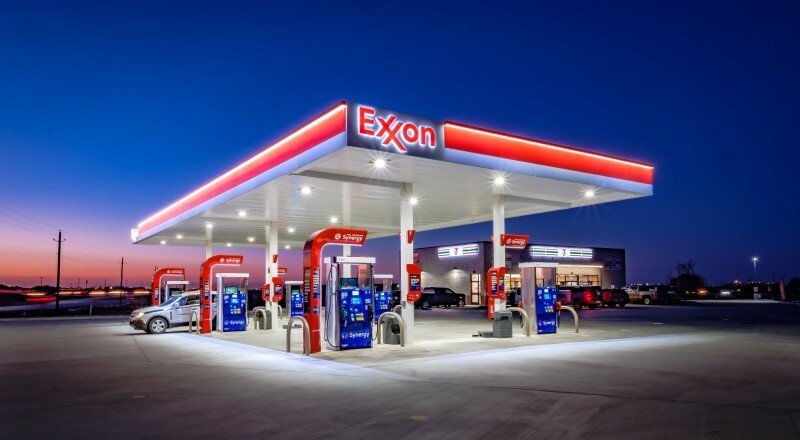 Located at 9944 Blue Mound Road in Fort Worth, the project includes the ground-up construction of a 3,062-square-foot convenience store with six fuel pumps and 12 dispensers. Creighton’s team for this project was led by project managers Raul Valladares and Bill Griffith, along with superintendent Shawn McCoy. Creighton has completed dozens of new 7-Eleven stores throughout the country in recent years, with several 7-Eleven locations in Florida and Texas nearing completion or recently opened. 7-Eleven, Inc. is the largest chain in the convenience-retailing industry. Based in Irving, Texas, 7-Eleven operates, franchises and licenses more than 65,000 stores in 18 countries, including 11,600 in the U.S. and Canada. Outside of North America, there are 7‑Eleven and other convenience stores in Japan, Taiwan, Thailand, South Korea, China, Malaysia, Mexico, Singapore, Australia, the Philippines, Indonesia, Norway, Sweden, Denmark and United Arab Emirates. As the foremost experts on commercial and residential development, construction and brokerage, we’re happy to share our professional views as well as recent news about our projects and business endeavors. If you have any questions, please contact us.